Yas Hotel Abu Dhabi features a unique design, set half on land and half on water. It offers 11 dining and lounge venues, modern rooms with mood lighting and free internet. It directly overlooks the Formula 1 circuit. The properties stylish rooms feature an LCD TV, iPod docking station and floor-to-ceiling windows. The spa is designed as a traditional hammam and includes 2 rooftop swimming pools with sunset views. 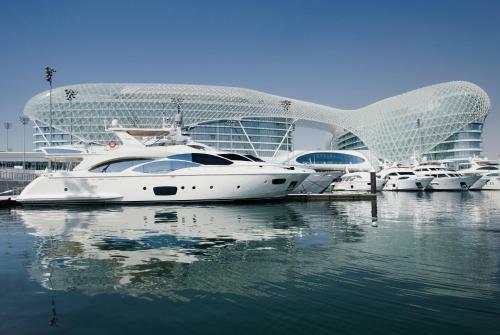 Guests can also enjoy Yas Beach club, offering an incredible beach facility, a pool, a bar and dining area. Complimentary access is included and the Yas shuttle will whisk you from the hotel to the Beach Club. 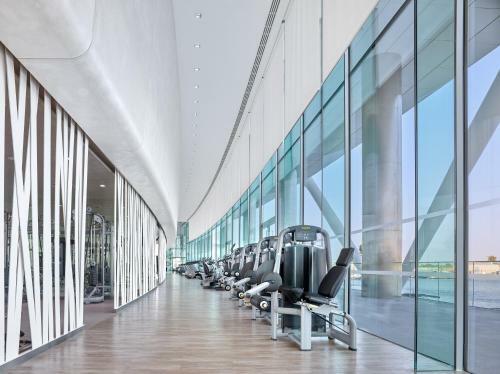 Yas Hotel Abu Dhabi is connected to mainland Abu Dhabi by a bridge and is only a 10 minutes' drive from Abu Dhabi International Airport and 15 minutes' drive from Abu Dhabi city centre. 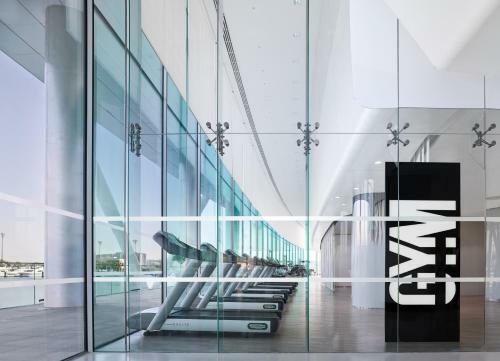 An 18-hole golf course and Yas Mall are within walking distance from the hotel. Please note that you must show a valid passport or Emirates ID upon check in. Any guest without identification will be unable to check in. Repeat guests will be required to present identification every time they check-in as per Abu Dhabi government regulations. Please note that during the period from 22 November 2018 to 26 November 2018 the Formula 1 Etihad Airways Abu Dhabi Grand Prix takes place in Yas Island. During this weekend rates for extra bed and breakfast supplements are increased. Also, a mandatory Access Pass fee will be charged, per person, in addition to the room charges. Please contact the property for more information. Kindly note that Kazu and Skylite outlets will be closed until 31 August 2018. Guests are required to show a photo identification and credit card upon check-in. Please note that all Special Requests are subject to availability and additional charges may apply.